This five drawer chest is the perfect addition to your modern bedroom. 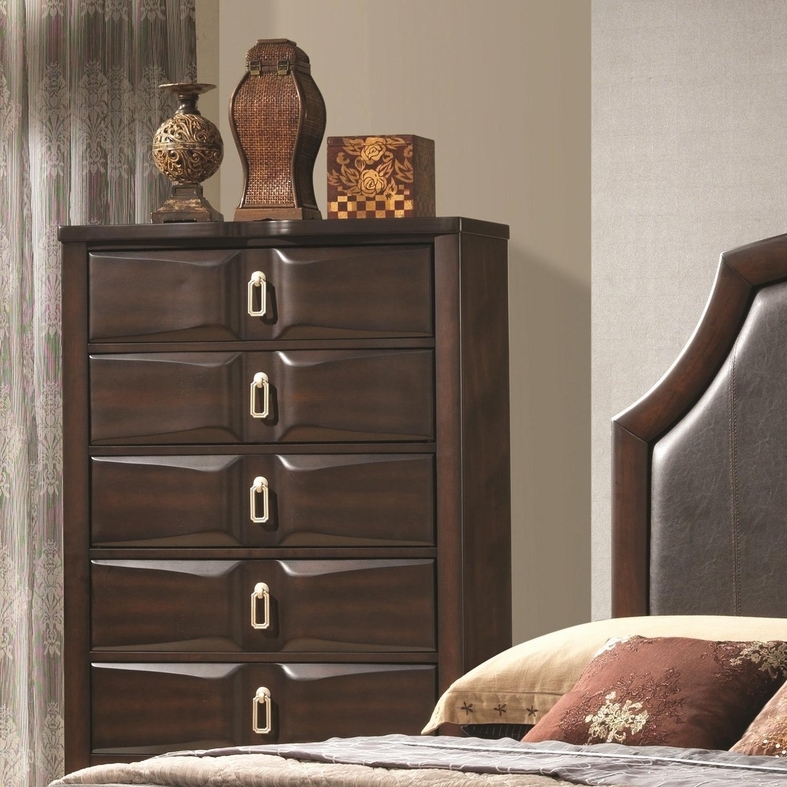 The symmetry, smooth lines and geometric shapes of this piece give it an Art Deco style while the rich, dark brown finish and the unique satin nickel drawer pulls make this a beautiful place to store your clothes. 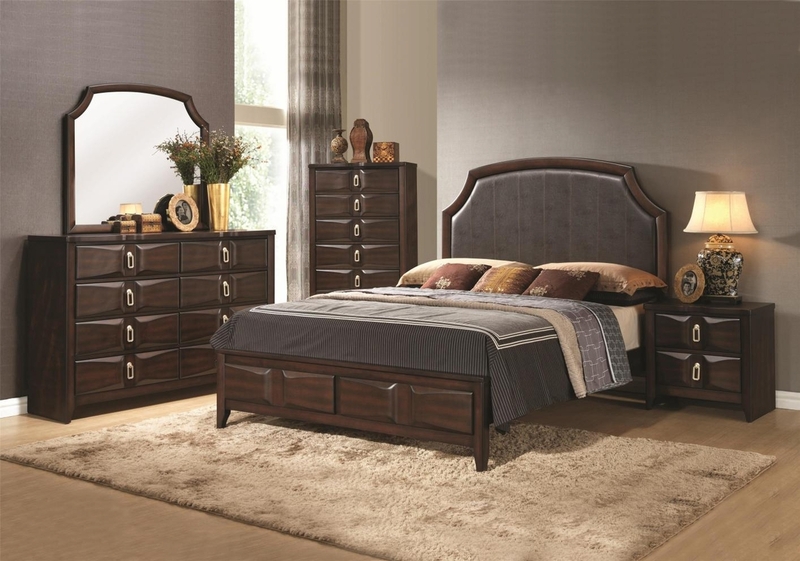 The dovetail joints in the drawers gives them strength and durability, and their center metal glides gives them stability and ease of use.